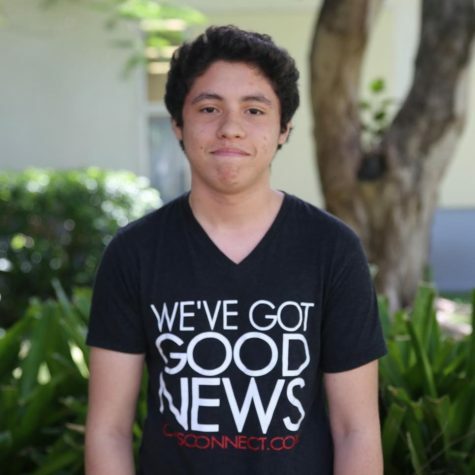 Miguel Lemus is a junior in the International Baccalaureate (IB) program at Coral Gables High School. Lemus is excited to see what the school year will bring. He was inspired to become part of the Cavsconnect family his sophomore year when all he wanted was to come out of his comfort zone and become more involved in the Cavalier atmosphere. Lemus enjoys writing and hopes that as a staff writer he can polish his journalistic skills. He is really excited to once again be part of the CavsConnect team and believes that it will give him the opportunity to gain new friendships that he will cherish forever. In his free time, Lemus enjoys photography and volunteering at the Coral Gables Museum. Although some may view Miguel as reserved, when you get to know him he is very friendly and amusing to be around. With only two years of high school left, he hopes to make his junior year one of his most memorable years yet.